Young Kannada beauty Rashmika Mandanna has been subjected to some heavy-duty trolling ever since the teaser for her upcoming romantic drama, Dear Comrade, was released last week. Many netizens in the garb of moral police targeted Rashmika for locking her lips with her co-star Vijay Deverakonda in the teaser. Finally, Rashmika, being a thorough professional, opened up about the entire controversy in a dignified way. “All I did was to do justice to the role as the scene demanded it and the lip-lock is nothing. One shouldn’t judge a movie based on the lip-lock scene. 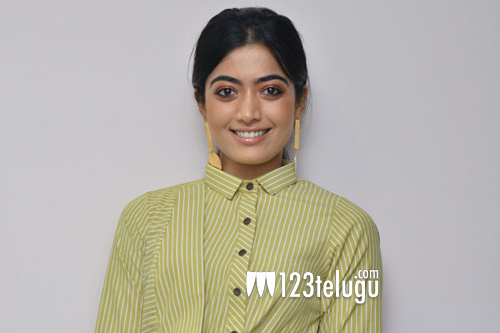 Rather, they should watch the entire film,” Rashmika told a media house recently.